As hundreds of thousands of pro-life activists gathered in Washington DC for the annual March for Life on January 22, it marks 42 years of protest against legalized abortion. One wonders about the contradiction, even outright hypocrisy, from some of our politicians and clergy. There is no doubt that humanity must be concerned about the welfare of the poor, defenseless and incapable members of society. Indeed they are in desperate need of help, but who could be more in need of that protection than a child in the womb? While our judicial system does little to protect the most defenseless, there is hope that Roe v. Wade will be overturned as we look at the stunning success achieved by the sacrifice and heroic efforts of the pro-life movement. There have been 73 abortion facilities shut down in 2014 alone and 75% of all abortion clinics have been closed since 1991. Out of a total of 60 surgical abortion facilities closed, 47 of them were permanent, representing a 23% reduction in surgical clinics that have been closed since 2010. “The only things that are preventing total collapse are court injunctions that are blocking several state abortion safety laws from being enforced. Once those laws clear the courts, we expect to see even more dangerous abortion facilities close. This is great news for women and babies because when abortion clinics close, lives are saved,” Says Troy Newman, President of Operation Rescue.2 This statement clearly indicates that a growing number of Americans disapprove of abortion and that abortion only survives by decisions rammed through as a result of judicial fiat. 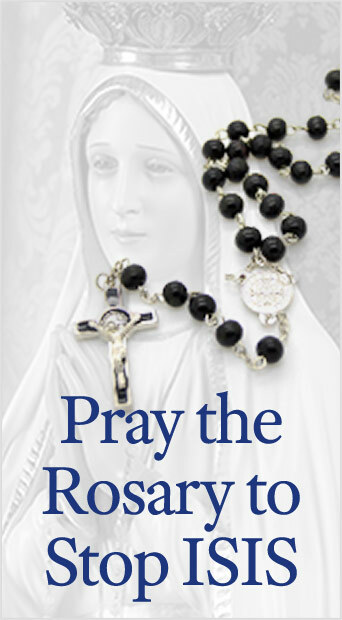 So the question that begs to be answered is how do our authorities support the immoral legislation of abortion in one breath and decry horrendous acts of terrorism in the next? 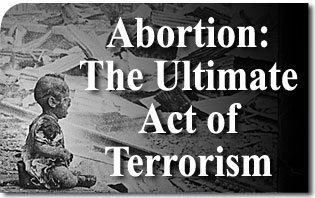 Is it that they cannot see that abortion as the ultimate act of terrorism or do they simply refuse? This entry was posted in In Defense of the Unborn and tagged abortion by Gary Isbell. Bookmark the permalink.